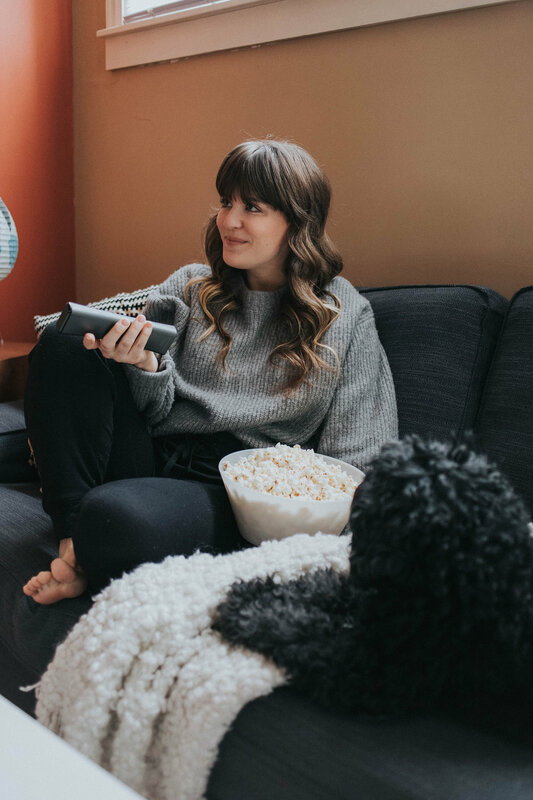 Is there anything better than cozying up on the sofa with snacks and enjoying a movie or great TV show when it’s cold outside? 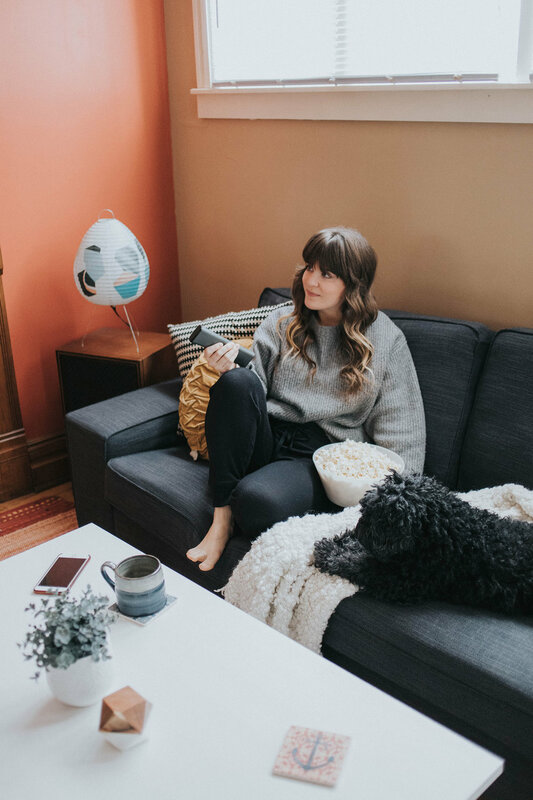 One of my favorite ways to relax is to put on some pajamas, pop some popcorn and rent a movie. Eric and I have Xfinity X1 at home. I love it because it gives me access to thousands of movies, records my favorite shows and makes it easy to stream programs on Hulu or Netflix. Not to mention, having the ability to pause a show in one room and resume watching it in another room is awesome. Especially since Eric is usually asleep on the sofa halfway through a movie! With X1, I can pause the movie, head into the bedroom, and finish watching it on my iPad. The flexibility really comes in handy when I’m watching a heated show (The Bachelor, anyone?!) and Eric wants to use the TV to play video games. Xfinity sponsored this post. The opinions and text are my own. X1 On Demand has a ton of options available. 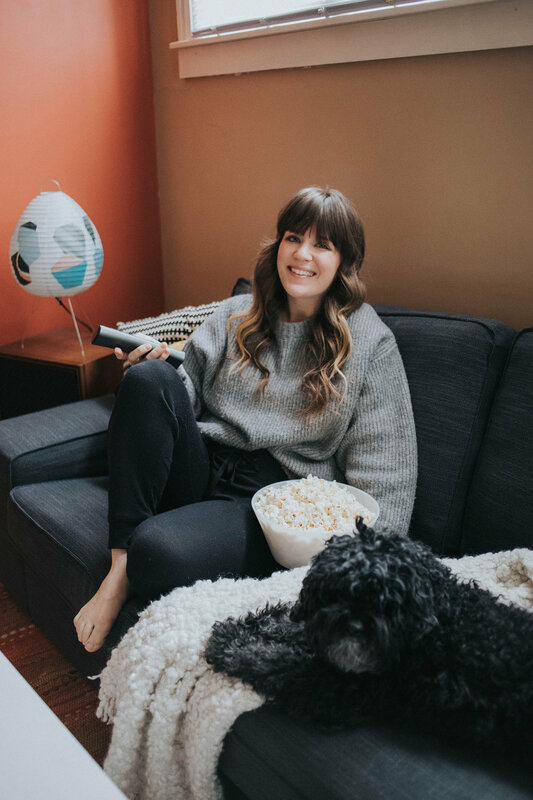 Ahead of the Oscar’s, I was able to find a few Oscar-nominated films to watch in preparation for the upcoming ceremony. I also recently rented the movie Instant Family, which was terrific! In addition to On Demand, I’m constantly using the DVR to record movies on TV so that I can watch them later. I can even download movies and shows from my DVR library to my tablet or smartphone. The on-the-go option is perfect for traveling because you can even watch while you’re offline! Another thing I’ve been loving is the search function on my X1 Voice Remote. I can search for anything using only my voice and get instant results across live TV, Xfinity On Demand, DVR, Netflix and Hulu. Eric and I often have “theme months” where we will watch one actor’s or actress’ movies for the entire month. Some past marathons include Tom Hanks and Mandy Moore. I love our themed months because it encourages us to watch movies we may have not otherwise selected. Plus, it’s fun! Another perk about X1 is the sports features. Granted, I’m not a huge sports fan, but our apartment is a friend favorite for viewing parties because we have cable, and our X1 can track multiple games at once and check the latest scores and standings. Eric loves having friends over to watch a big game! I, on the other hand, love eating all the snacks that come with sports games and being able to scroll through Instagram uninterrupted. Haha! We’re big fans of Xfinity. X1’s versatility allows me to watch or rent movies, stream TV shows, and record my favorite shows. I also appreciate that X1 gives me the freedom to watch my movies and shows in the living room, bedroom, or even the kitchen when I’m cooking. This option really comes in handy during the holidays – I love to watch Christmas movies while baking Christmas cookies. To top it off, I’m able to download whatever I’m watching to my iPad and take it with me while I’m traveling. What are some of your favorite TV shows this season? Eric and I have been watching This Is Us. I’ve also been watching A Million Little Things and The Bachelor – it’s my guilty pleasure! Check out Xfinity if you’re interested in learning more!